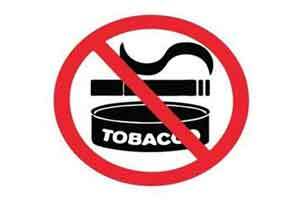 New Delhi: The parliamentary panel reviewing whether to put larger health warnings on cigarette packets has asked the health ministry for evidence to show that such a move would cut tobacco consumption, according to documents reviewed by Reuters. The panel, which has been criticised before by tobacco control activists for apparent conflict of interest as one of its members owns a tobacco business, sent a list of 32 questions to the federal ministry in October. It asked the ministry to explain which ingredients in tobacco cause cancer and whether previous government surveys showed that graphic warnings led to a drop in tobacco usage, which is linked to as many as 900,000 deaths a year in India, the world’s second-largest tobacco producer. “The panel is playing into the tobacco industry’s ploy,” said Shailesh Vaite, a member of the Framework Convention Alliance for Tobacco Control, a group of more than 350 global organizations. Shyama Charan Gupta, a panel member who runs a company that makes traditional hand-rolled “beedi” cigarettes, said he has recused himself from the issue of tobacco warnings. He remains on the panel, which scrutinises several other regulations. The Tobacco Institute of India (TII) – which represents hundreds of local manufacturers in India’s $6 billion cigarette market as well as bigger firms such as ITC Ltd, part-owned by British American Tobacco Plc – said it held talks with the parliamentary panel in July. “Regulatory impositions adversely impact the livelihood of farmers, the legal cigarette business,” said Syed Mahmood Ahmad, director of the TII. The group did not comment on the panel’s questions to the ministry, but has previously said bigger packaging warnings are “unreasonable” and “impractical”. ITC declined to comment. The health ministry first proposed in October 2014 that 85 percent of a cigarette packet’s surface area should carry health warnings, up from 20 percent. That was opposed by the tobacco industry and put on hold after the parliamentary panel said it needed to analyse the impact on the industry. The move has also been challenged in courts. Such communication between the parliamentary panel and the health ministry, which has not previously been reported, risks further delaying the measures, activists and health ministry officials said. The ministry has defended its proposal, and told the panel that extensive research proves “conclusively” that tobacco causes cancer, a review of the ministry’s responses shows. In one question, the panel said the proposed increase in the size of the packaging warnings was “skewed”, and it questioned how it would cut tobacco use, especially among young people. It asked if there was any research planned for “evolving” a less harmful tobacco crop.